The annual Museums at Night festival begins this evening, with more than 700 events taking place around the country over the weekend, including scores in London. Some, such as the band Public Service Broadcasting's gigs at the RAF Museum are already sold out, but there is plenty still on offer for Londoners who didn't know this was happening until now. 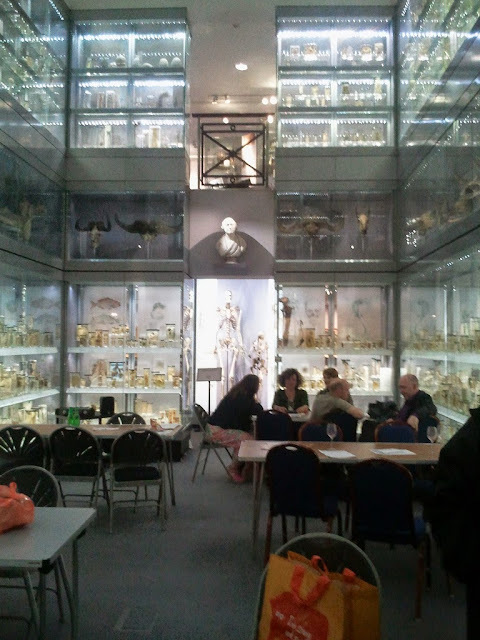 Holborn's Hunterian Museum has an eerie free late night opening for fans of specimens in jars, Walthamstow's William Morris Gallery is teeing up a free workshop for anyone into letterpress, and for those who like big empty rooms and are in Westminster this evening, the Banqueting House on Whitehall will have a special opening. In the City, the Museum of London will be holding a special digital city opening, whilst north London poetry fans could do worse than book a place at the Keats Museum in Hampstead (£8 including a drink), those based down south can enjoy an evening at the Horniman exploring Extremes and anyone left post-work in the very middle of town should hot-foot it to the National Portrait Gallery where they will find lectures, talks and a DJ.